Welcome New Additions to the Team! So you know when something goes viral on the internet. Of course you do – you’ll see it once, you’ll see it twice, you’ll see it 743 times on your friends’ facebook walls. Some content that gets really popular on the internet are simple posts and videos made by the average person (e.g., Grumpy Cat) that get picked up by the online community for whatever reason (e.g., because Grumpy Cat is adorable), while some are made in hopes of getting really popular, such as music videos. Some people suggest that even the seemingly amateur videos are engineered for virality, too. Probably. Okay, maybe not yet, but we’re getting there. Researchers are starting to look at how content spreads and is shared across the internet. Berger and Milkman analyzed the virality— or the spread across the internet—of about 7,000 articles across top newspapers. In three studies, the effects of awe-inspiring, anger-inspiring, or anxiety-arousing articles were found to result in the most spread, whereas articles that provoked feelings of sadness were less viral (in fact, sadness was referred to as a “deactivating” emotion). These findings held even after a great deal of factors were controlled for, or taken into consideration, including the usefulness of the article content, article length, the day of the week the article was published, and various others (2012). This idea that articles that make us sad are less likely to be shared may be related to another element of virality on social media – “liking” content on Facebook. Interestingly, it is becoming an increasingly well-known finding that being on Facebook causes people to feel sad and lonely, presumably due to social comparison (Kross et al., 2013). People see the content on their friends’ facebook walls as fun, social, and exciting, and so they look at the wall content and think that everyone else’s lives must be more exciting than their own. It could be that people are less likely to write about their negative life experiences and more about their positive ones, but this virality-sharing phenomenon may extend to Facebook as well. People don’t actually see, on their news feed, all of the content that is posted by their friends – Facebook has an algorithm that controls what content is shown, and part of that algorithm is how many likes or comments a status has. Sadness-inducing statuses may not get as many likes as happy statuses, and in turn become seen less than other updates. This finding has a great deal of implications for the sphere of social media. But it also raises some interesting questions. How does a piece of information like this, knowing that awe- or anger-inspiring articles or anxiety-provoking articles, over sad-inducing ones, shape the media environment? Journalists seek to report on the true nature of the world, but they also have ratings and popularity numbers to keep in mind. News publishers might start to turn away or deemphasize sad content and push forward more positive or enraging content. I’ve been rambling on about the deactivating effect of sadness, but the study we’re talking about also mentioned that articles which arouse feelings of anxiety and anger see a lot of spread. As an academician, I am not so interested in the utilitarian gains to be made from research (marketers would love stuff like this) as much as I am inclined towards a general search for psychological truth and knowledge (aka, “’cause it’s cool”). I love to think about how we can branch off studies and combine them with others. Hold on tight, folks, because we’re about to have a massive topic change here. 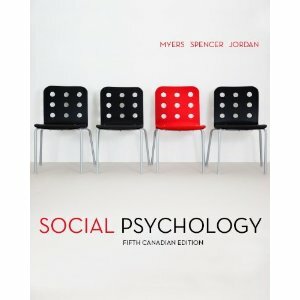 Social psychology, which studies how we think about and how our thoughts are affected by our social environment, is a really big field – and intergroup relations, or how we think about different groups of people (race, gender, nationality, even university affiliation) separately and in relation to our own group is a subfield. Research related to intergroup relations has generated the concepts of realistic threat and cultural threat. Realistic threat refers to threats to the economy, resources, or safety (Wlodarczyk, Basabe, and Bobowik, 2014). For example, when a new group joins an already existing group in an environment and the number of resources is fixed (such as jobs), then the resources are being spread more thinly, which may be perceived as a threat to those who consider the new group an “out-group.” Cultural threat refers to a perceived threat about an out-group affecting the norms, cultural values, customs, and ways of life of the existing group’s environment (Zárate, Garcia, Garza, and Hitlan, 2004). For example, much of the rhetoric in the media with Mexican immigrants can be tied to these types of threat (e.g., “They’re taking our jobs”). If an article were to talk about, say, Mexican culture invading “American” culture (e.g., the “Spanish” options on the ATM machine), this would be an example cultural threat. The present study mentioned that articles which arouse feelings of anxiety and anger see a lot of spread. In a replication of this study (or a similar study, as we don’t often do, I would like to see these themes explored more in terms of realistic and cultural threat. I wonder whether articles that are concerned with realistic or cultural threat are more likely to be shared – and also who is sharing them and in what context. Really, though, psychological research is all about expanding on the previous findings. Virality is a great topic of research that could be explored in a near infinite number of ways. Berger, J., & Milkman, K. L. (2012). What makes online content viral? Journal Of Marketing Research, 49(2), 192-205. doi:10.1509/jmr.10.0353. Kross, E., Verduyn, P., Demiralp, E., Park, J., Lee, D., Lin, N., & … Ybarra, O. (2013). Facebook use predicts declines in subjective well-being in young adults. Plos ONE, 8(8).